The figure is based on information from more than 120 crude oil assays from BP, ExxonMobile and Statoil (2008 - 2017). The crudes are produced all over the world. See also Crude metal (Ni, V) content as function of gravity. Engineering ToolBox, (2017). 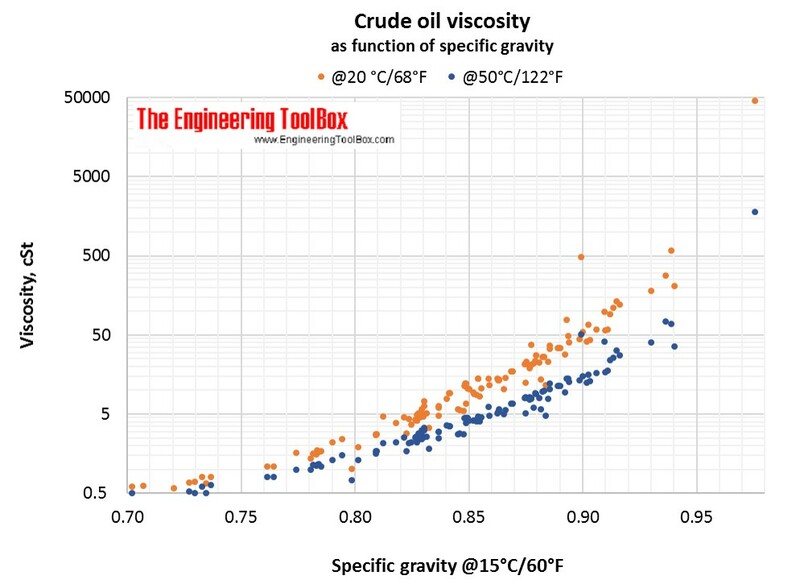 Crude oil viscosity as function of gravity. [online] Available at: https://www.engineeringtoolbox.com/crude-oil-petroleum-viscosity-gravity-density-d_1959.html [Accessed Day Mo. Year].